Emeritus Professor of Economics at the University of Tunis. 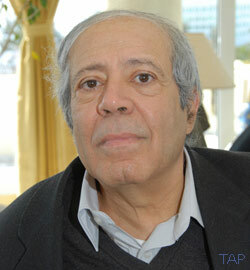 Azzam Mahjoub is Emeritus Professor of Economics at the University of Tunis. He is an international expert on issues on human rights related to development and on regional and international relations. He has been invited to work with various Arab, European and American universities. Professor Mahjoub is the former vice-president of the Arab Society for Economic Research and is currently President of the Association for Research on Develop and Democracy (AR2D) in Tunisia.